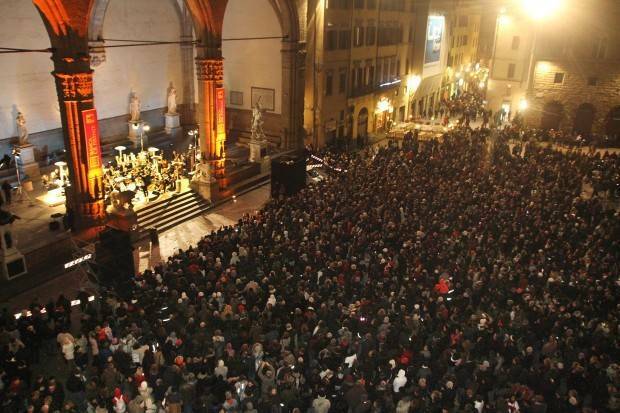 So what’s on in Florence during the merry month of December? Here in Italy the Christmas atmosphere starts early. The shop windows are embellished with their twinkling holiday decorations and the traditional festive illumination lights up the city’s streets. 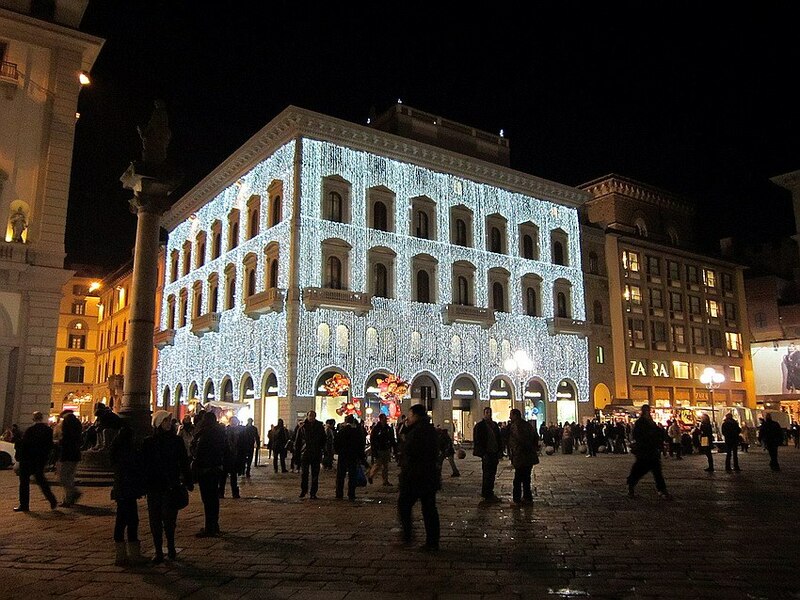 On December 8th a large Christmas tree is set up in the magnificent backdrop of Piazza del Duomo in the historic centre. Traditionally on this day, which celebrates the Immaculate Conception, Italian families start decorating their homes with trees and nativity scenes. A Nativity scene is also set up in the Piazza, to the front left of Santa Maria del Fiore. To soak up the festive atmosphere, stroll around the several Christmas markets held in various squares. 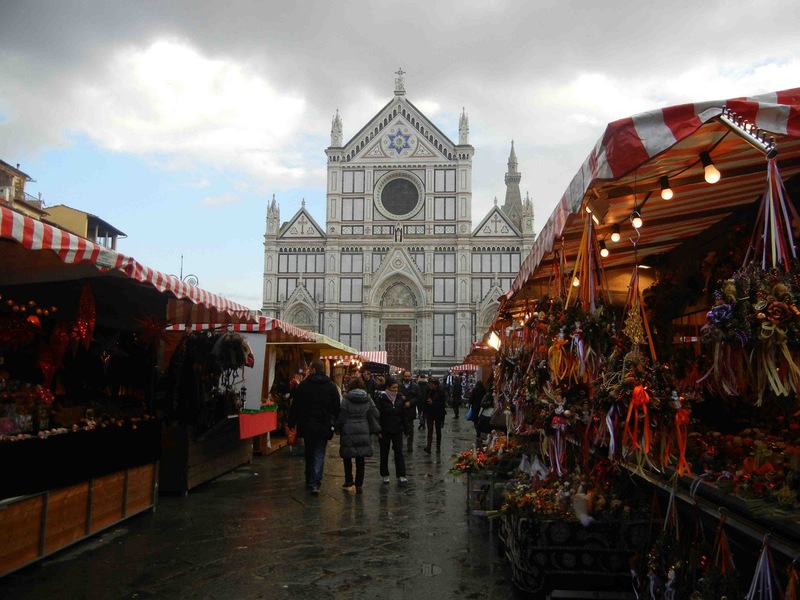 The biggest is the German market in Piazza Santa Croce with its typical small wooden huts. 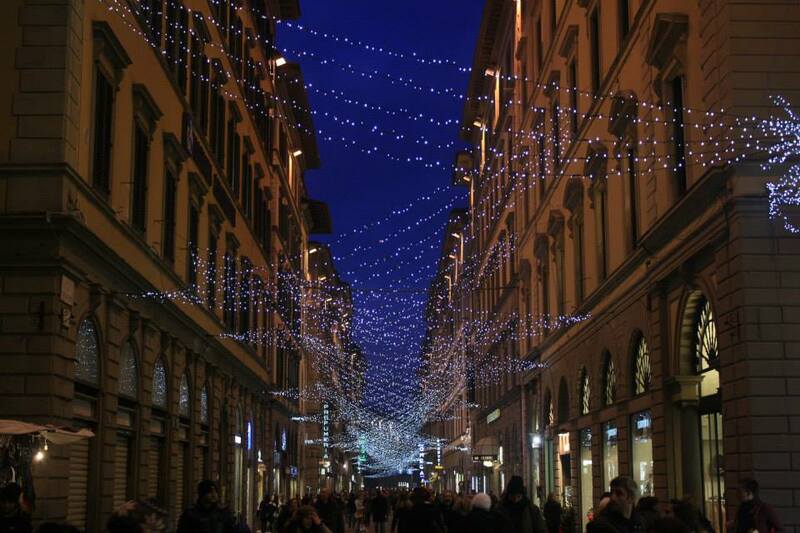 Another traditional market is the Fierucola dell’Immacolata held on the 7th and 8th. Many smaller Christmas markets are scattered in the various neighbourhoods of the historic centre. They all offer a range of items from handicraft to food products, from toys to Christmas decorations and fashion items. If you’re looking for a warmer alternative then Florence’s renowned museums and art galleries are pleasurably deserted in December. Otherwise for a more cosy and intimate break look up the many opera and classical concerts held in churches around the old town centre or for a ballet. For more ‘modern’ music lovers New Year’s Eve holds a lot of surprises. Several city squares will, in fact, host free outdoor concerts: pop, dance music, jazz, swing and gospel. There will obviously also be the traditional classical music in Piazza della Signoria. 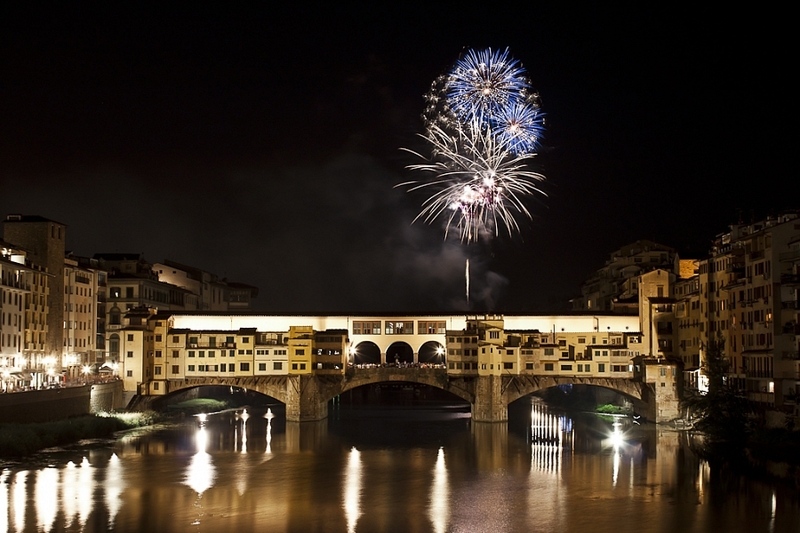 The New Year is welcomed with a spectacular firework show and the Italians will be back out on January 6th to celebrate Epiphany with another Florentine classic: the Procession of the Magi. Over 700 performers take part in this pageant. The Three Wise Men, the Magi, lead on horseback, leaving Piazza Pitti and winding through the streets until they reach Piazza Duomo up to the steps of Santa Maria del Fiore. A 15th-century tradition not to be missed if one’s in town. 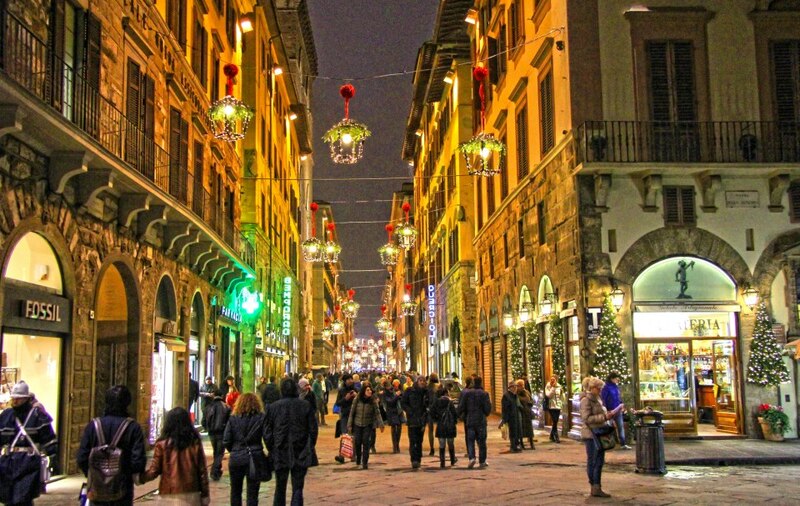 Have I aroused your desire to visit Florence during the holidays? Then take a look at this rental flat for two in the Oltrarno neighbourhood, within walking distance of the Uffizi Gallery, Piazza della Signoria and the Ponte Vecchio. 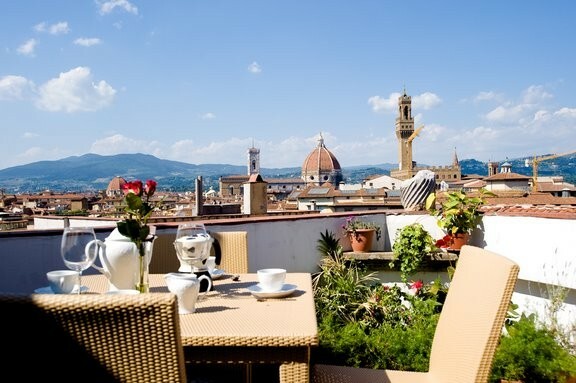 It’s just one of a wide selection of holiday apartments in the centre of Florence. Questa voce è stata pubblicata in Accommodations in Tuscany, Culture and accommodations in Tuscany, Fairs and markets in Tuscany, Folklore and accommodations in Tuscany e contrassegnata con Christmas, Christmas markets, Florence, Piazza del Duomo, Piazza della Signoria, Piazza Duomo, Piazza Pitti, Ponte Vecchio, Santa Maria del Fiore, the Procession of Magi, Tuscany. Contrassegna il permalink.